The Victoria and Alfred Waterfront is one of Africa's most visited destinations and attracts 24 million people every year. Its setting, in the oldest working harbour in the southern hemisphere, is simply spectacular: it has Table Mountain as a dramatic backdrop as well as extensive views of the ocean, city bowl and the mountain peaks of the Hottentots-Holland Mountains. The V&A Waterfront also plays a vital role in the South African economy, to which it has contributed R335 billion (USD25 billion) in nominal terms over the past 14 years. The V&A is home to 1 500 people, and a workplace to 21 000. In peak season it has up to 180 000 visitors per day. It is also the operator of the newly upgraded Cape Town Cruise Terminal – within walking distance of Zeitz MOCAA. The V&A is jointly owned by Growthpoint Properties Limited and the Government Employees Pension Fund (GEPF), represented by the Public Investment Corporation Limited (PIC). 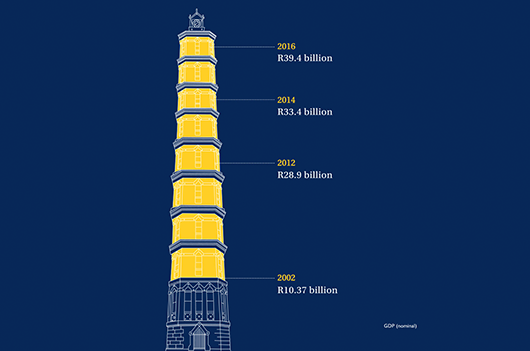 Download the latest economic impact study, which quantifies the economic contribution the V&A Waterfront is making to Cape Town and to South Africa as a whole. 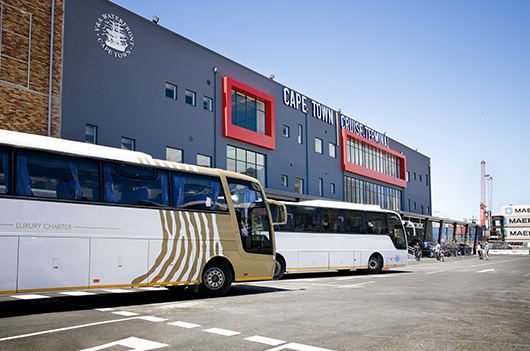 It is also the operator of the newly upgraded Cape Town Cruise Terminal – within walking distance of Zeitz MOCAA. The V&A is jointly owned by Growthpoint Properties Limited and the Government Employees Pension Fund (GEPF), represented by the Public Investment Corporation Limited (PIC).